With the advancement of technology, revolution is happening across the world’s hospitals. The Staff at IBM Watson, endeavoring to bring artificial intelligence to transform healthcare for more personalized, transparent, integrated, and high-quality care. The expectation of healthcare is centered on rendering individuals a complete picture to empower demand and better ways to tap into and analyze health information in real time. By 2020, it is estimated that the footprint of medical data will double every 73 days, however, it is expected that 80% of this data will be unorganized. 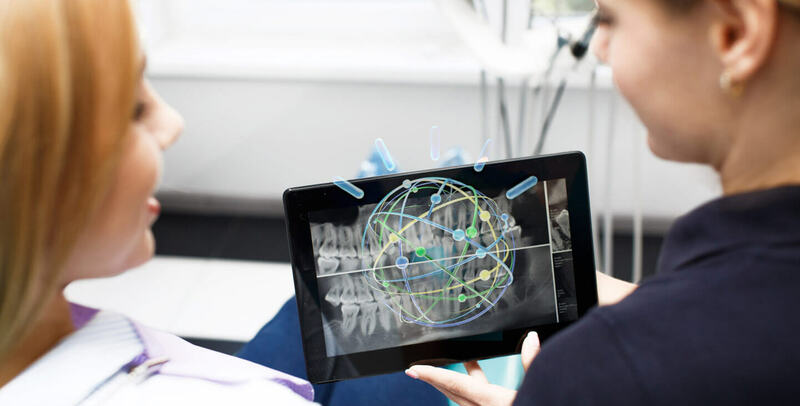 The IBM Watson health will let the medical professionals have access to an abundance of data, significant to consume, analyze, and align in an essential way for the patients. The real-time analysis holds a crucial aspect and allows healthcare professionals including doctors, researchers, insurers, caseworkers, and other to make the most informed decisions, at the same they can ensure patients with greater control over self-care. However, this coordination is complex and requires a notable time and can evaluate the resources of even the most accomplished organizations. Developed by Watson, IBM Watson is a system based on cognitive computing, or in other words, it can be referred to a system capable of answering your questions posed in natural language. IBM Watson is built on the following techniques such as machine learning, Natural language processing, Artificial Intelligence, Human interaction, and reasoning. Artificial Intelligence - here computers perform tasks that actually require human intelligence. Human interaction - computers can interact with humans, with natural language processing as a subset of human interaction. Reasoning - is the system actually think like humans and produces answers to the questions. ➣ Apache UIMA - (Unstructured Information Management Architecture) frameworks, infrastructure, and other elements of data analysis. ➣ IBM'sDeepQA software - sketched for information retrieval including natural language processing and machine learning. ➣ 15 terabytes of RAM. ➣ 500 gigabytes of preprocessed information. ➤ It facilitates researchers to discover innovative penetrations into connections among genes, proteins, pathways, phenotypes, and diseases. ➤ Helps in classifying the most significant traits of a patient case to offer easy-to-consume reports for both patients and healthcare providers. ➤ Provide support to create individualized treatment plans to improve the patient's as well as physician experience. ➤ Many giant organizations including Amazon, Apple, Facebook, Google, and Microsoft believe AI and machine learning as the future of the tech industry. And are already, retooling their businesses around this technique. Chatbot with IBM Watson is already in use in the healthcare industry. Furthermore, IBM is in a more vulnerable position than all those companies as it was an AI pioneer. However, due to overhyped marketing, the reputation was damaged, but it managed to provide a justified scenario. For instance; In a recent healthcare analyzation for brain cancer, IBM Watson made a quick scan in just 10 minutes. If humans are to consider, the process can take up to 160 hours for a human to go for the whole scan. Further, the IBM Watson also suggested a treatment plan, unfolding AI potential to revolutionize patient care. In healthcare, one of the biggest challenge pertaining understanding the sense of the constant stream of new information output and how it can be utilized and integrated for best practice in the different scenarios like medical literature, clinical trial results, and other research. IBM’s Watson works wonderfully when it comes to absorbing information and then extracting it into meaningful data. The extreme language-processing abilities allow it to scan 23 million journal articles, government listings for clinical trials, and other data sources. As we know, how AI Applications has been the game changer in the tech field, i.e. Predictive Analytics. For instance, used in autonomous driving and similar. However, now it can also be practiced to discover new penetrations from existing data such as electronic health records and lab tests(according to Narges Razavian - an experienced professor at New York University's Langone School of Medicine). This research project on predictive analytics unfolds more than 100 medical conditions. Today, the Artificial intelligence has been majorly adopted for identifying depression and mental illnesses. This is done by spotting patterns. According to a research paper by Florida State University's Jessica Ribeiro - the research exposes that it can foretell results with 80 to 90 percent accuracy. Further, according to Rometty, IBM is endeavoring to advance health care for vets, renew tech infrastructure, generate jobs, and train the next generation of “new collar” workers. Moreover, the buzz of IBM concerning AI - the “cognitive computing” of Watson will help in gaining these visions. Peppered throughout the softball exchange were a dozen mentions of Watson. There are several applications for the Watson's cognitive computing technology, offering capabilities such as text mining and complex analytics of huge unregulated data. Further, it encourages the search engine or an expert system with highly superior capabilities.